Derby does not ahve a full range supermarket but the Derby General Store & Providore (opposite Federal Tavern) has some quality goods and basic supplies. You best get what you need before you get to Derby, in either Launceston, Scottsdale, Branxholm or St Helens. Branxholm IGA Supermarket is 8 minutes back towards Launceston and it has an ATM. 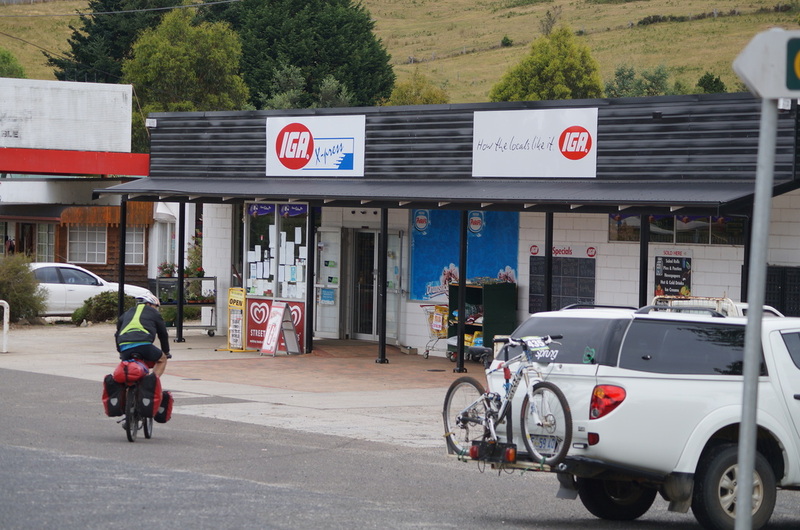 Unleaded petrol is only sold at this IGA supermarket. Map at this link. Derby has 2 pubs. The Dorset Hotel & Federal Hotel. The Dorset Hotel has a full range of lunch and evening meals options, but bookings are highly recommended. Winnaleah Hotel is 10 minutes away. Pub has large meals, clean, cosy & comfortable hotel accommodation & bike cleaning facilities. Branxholm Pub is also a great place for a feed and accommodation is old school, clean & comfortable. Crank It Cafe @ The Tin Centre has basic MTB spare parts. Scottsdale is you last big services town if you need anything major including a Woolworths supermarket which is at 7 Victoria St Scottsdale, TAS, 7260. Diesel & ULP, BBQ gas refils and bottles, repairs ​etc are available in Derby Servo (near tennis courts), weekdays and Saturday mornings only. ULP is available at Branxholm Supermarket and it is open 7 days a week. Post Office in town with basic supplies sold. Branxholm IGA - Only ULP available.